Summer is here! The circle of searching for light fabric is rolling again. Heavy weighted fashionable dresses are really become unbearable to compete with the scorching heat of the sun. In this, cool-looking light fabric without compromising the quality of the outlook is the top priority. 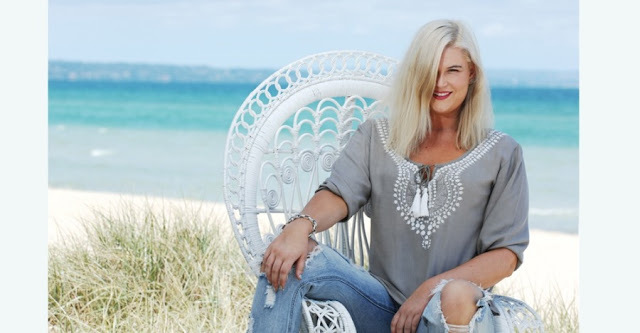 If you have a great freak of fashion and looking for fashionable plus size dresses in Australia; then Kita Ku has a range of trendy plus size clothing in Australia cheap for Summer. Keeping all your needs in mind Kita Ku has numerous range of Cotton, Crinkle, Lycra, Rayon, Samaya Moods, Scarf, Voile and many more. One of the top most priority clothes to wear in summer is Cotton. Kita Ku brings amazing collection in the cotton range from Dress Jaya, Jacket Tamara to Singlet Paris and Top Echo. These includes fashionable sleeveless tops, stylish short jackets, and pantaloons in Red and White colour. Crinkle has numerous and easily washable collections to offer you which will give you comfortably different look in different ranges. Crinkle has Alto, Frost, Hawali, New Orleans & Ruby Rose. And this division has vast sub-divisions with variations of colours from Blue, Black & White to Pink, Red and many more. Voile is another vast collection next to Crinkle. Voile comes in a different range as Beyond, Javan, Destiny, Jungle, Passion, Wild Poppy & Zaza. This tremendous plus size collection have other sub-divisions with different variations, layers to wear, styles, looks, designs and colour combinations. From multicolour to single. Easily adjustable and have amazing printed designs. These scarfs can be easily mixed and match with any of your outfits. Kita Ku is the best choice for plus size plus size women in Australia. Apart from summer collections, Kita Ku always has other trendy collections which left you with no worries to go active with the trend always.